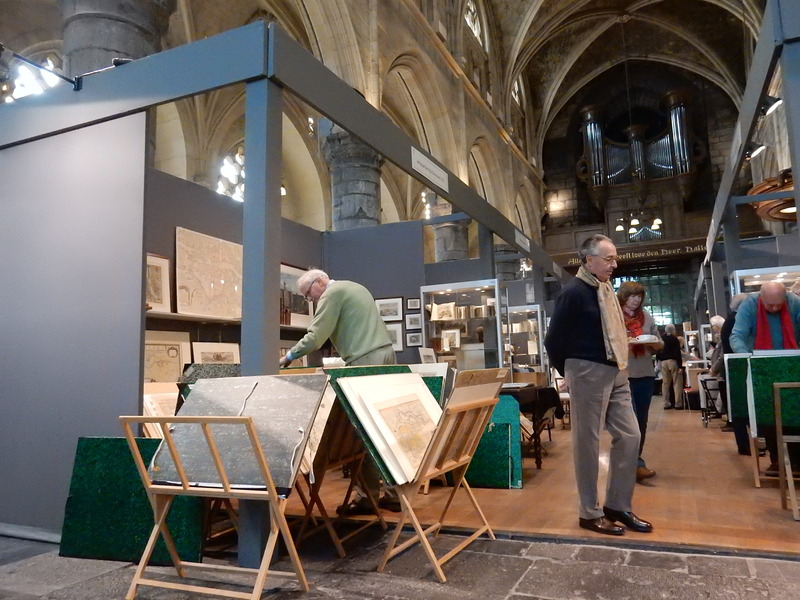 Two weekends ago, my son and I attended the Maastricht Antiquarian Book & Print Fair. In a holy place of three-piece suits and German pocket watches, copies of James Joyce novels selling for 20,000 Euros, and a floor paved by seventeenth-century tombs, no one expected a stroller. 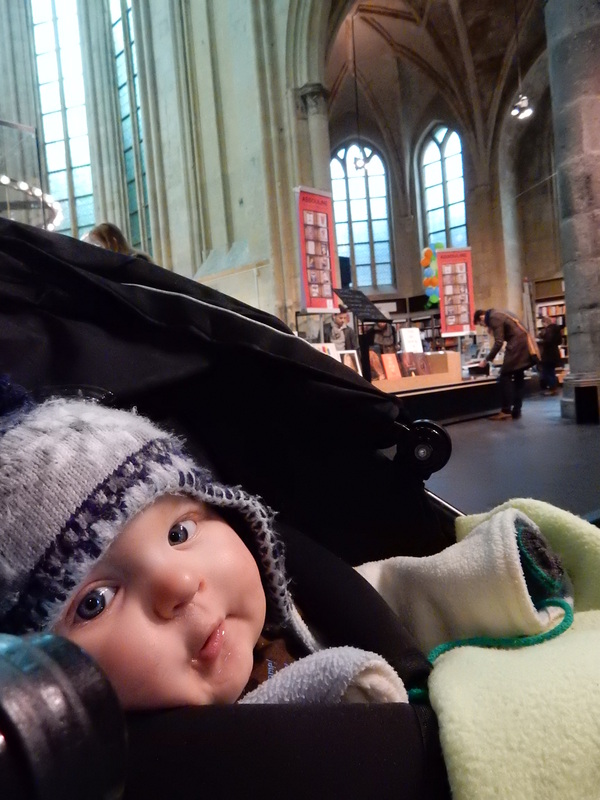 One man asked me if my son could read yet, elbowing the carrier. Never too soon to start collecting, commented another. People bent and peered in and smiled. The security guard graciously helped me lift the buggy up and down the grand entrance stairwell. How’s Mom? he asked on our way out. My only regret is that we should have stayed longer. No purchases. No particularly educational moments. Otto fell asleep before we got to the Royal Family’s partial encyclopedia collection, so he couldn’t put on the white gloves and leaf through. I didn’t even crouch to get his photo next to it. The moral? I don’t know. I’m not saying the place would have been better with more buggies—I liked that we were the anomaly. Nor am I saying that you should let your toddler careen down aisles of unguarded treasures. (I found one unassuming book that looked interesting—no glass case, no plastic wrap—and, upon paging through, also found its price tag: 750 Euros. Step one: set book down gently. Step two: slowly back away smiling.) I guess I’m just saying I’m glad we went. *If you look closely at the photo above, you’ll find a woman with the unenviable job of delivering lunch—soup!—to the vendors. I watched her navigate stalls of maps, some of which date back to the 1100s. I also watched person after wandering person—hands behind back, scarf loosely-draped just so—step out in front of her.